House prices are continuing to rise across Ireland. 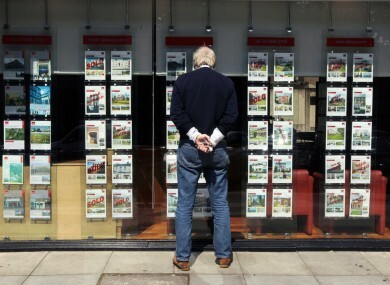 HOUSE PRICES CONTINUED to surge across the country in September, according to the latest figures by the CSO. The latest statistics found that residential property prices rose by 1.3% nationwide, an 8.9% increase on September last year. In the capital, property prices rose by 0.9% last month, a 6.5% jump on last year’s figures. The biggest increase came in Dublin house prices (1.1%) while the cost of an apartment fell by 0.4%, according to the figures. Outside of Dublin, residential property prices rose by 1.6% in September. Prices were up 11.4% compared with September 2014. Despite the sizable increases, market values were still below boom time figures. At national level residential property prices were 34.6% lower than their peak level in 2007. Dublin house prices were 33.7% lower than their peak, Dublin apartment prices were 40.7% lower than their peak and Dublin residential property prices overall were 35.6% lower than their highest level. Outside of Dublin, residential property prices were 37.7% lower than their highest level in 2007. The figures come at a time when the country is facing a housing shortage. “There is a severe shortage of accommodation to rent in many urban areas, and a lack of affordable housing to buy. It was disappointing that the Budget did not put any measures in place to stimulate new development, nor does there seem to be a strategy to help achieve a supply-demand balance over the longer-term. Email “Houses are becoming less and less affordable... again”. Feedback on “Houses are becoming less and less affordable... again”.